Maker exec Chris Williams says the Disney XD collaboration speaks to YouTube's expanding sphere of influence and the ability of its creators to connect with global audiences. 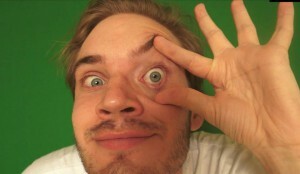 Just how powerful are YouTube stars today? A new initiative launched by Disney XD and Maker Studios may just have the answer. The program, dubbed Disney XD by Maker, will see the two Disney powerhouses combine forces in a search for what they’re calling the “next generation” of creators. 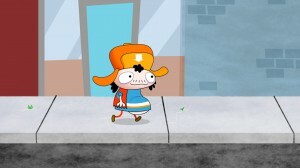 The goal is to tap YouTube in order to develop new content for DisneyXD.com and the Watch Disney XD app. If programming hits the mark with Disney XD’s primary demographic of young male viewers, digital creators may even find their way to cable and global satellite channels. Chris Williams, Maker’s chief audience officer, says the initiative speaks to YouTube’s expanding sphere of influence and the ability of YouTube creators - many of whom have become celebrities in their own right - to connect with audiences through varied storytelling formats. “Maker and Disney XD believe that this program can serve as a great on-ramp for YouTube influencers who also aspire to work with Disney XD,” Williams says.”We’re casting a broad net and hope to find creators across a variety of genres, including animation, gaming, scripted and unscripted,” he says. Maker confirmed that some of its leading creators will be involved in the initiative, which will serve as an incubator for original content specifically tailored to the program. Among the promised participants are CaptainSparklez (8.8 million subscribers, 1.8 billion views), forrestfire101 (635,000 subscribers, 588 million views), ZexyZek (1.4 million subscribers, 245 million views), 101DarkMonkey (197,000 subscribers, 16 million views), EvanTube (1.9 million subscribers, 1.6 billion views), Luzu and Lana (1.4 million subscribers, 65 million views) and Random Encounters (156,000 subsribers, 26 million views). Up-and-coming creators will still have a chance to be discovered. Anyone 18 or over can apply to be part of the initiative at makerstudios.com/DisneyXD. To cultivate their skills, participating creators will be provided tools, analytics and development guidance from both Maker and Disney XD as part of the program. Applicants are also eligible for US$1,000 in funding for a short proof-of-concept video. The first videos are expected to launch before the end of 2015, according to Williams. Videos created through the initiative will initially be distributed through creator channels on YouTube with the potential for Disney XD to then distribute across digital and traditional platforms. The best of the best may also be developed as television pilots for Disney XD - which has 31 channels available in 25 languages around the world. 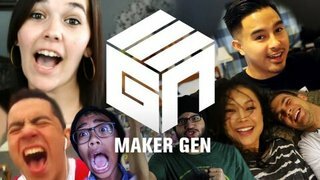 Maker’s network includes 55,000 creators from more than 100 countries, and it attracts more than 10 billion views per month. The network specializes in short-form content aimed at millennials and Gen Z. Last month, Disney UK made its own moves to tap into Maker’s talent pool to up its short-form content offerings through a new weekly lifestyle show called Disney Channel Vlog, which launched on Disney Channel UK’s YouTube channel. Earlier this year, Disney CEO Bob Iger told investors that the House of Mouse has seen significant growth in the streaming video numbers for Maker since it was purchased by Disney last spring in a deal worth up to US$950 million. From StreamDaily. With files from Wendy Goldman Getzler.